Countrywise Kitchen proved one of the most popular food series of 2010, with viewing figures regularly hitting over 4 million when it aired on ITV1 primetime. Now, for the first time, its co-presenter and chef Mike Robinson brings you the best recipes of the 2010 and 2011 series - plus dishes from its sister show Countrywise, which is now entering its third series. There are lots of recipes for cooking with country ingredients, from partridge to chicken, lamb to pork, salmon to mackerel, blackberries to plums. Stews, roasts and soups sit alongside cakes, puddings and jams in this accessible cookbook that celebrates the best of British ingredients in dishes that herald from far and wide - from a roast shoulder of pork to a Thai noodle soup. All the recipes are simple to prepare and even those with the most surprising flavours are created from everyday ingredients that can be bought from the supermarket. Packed with information on selecting the best ingredients, eating seasonally and foraging, this book is an invaluable source of information as well as a delicious collection of recipes. 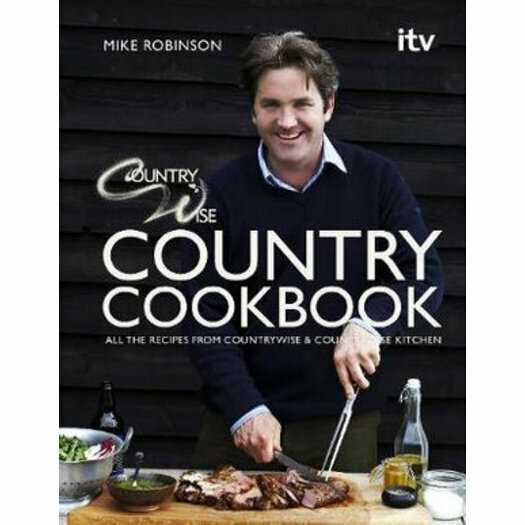 Mike Robinson is co-presenter of ITV1's primetime series Countrywise and Countrywise Kitchen. With viewing figures regularly hitting 4.5 million per episode, a third series of 8 x 1-hour episodes of Countrywise has been commissioned for 8pm Tuesdays on ITV1 in April/May 2011. Countrywise Kitchen was launched in 2010, with viewing figs matching those of Countrywise, and a new series of 6 episodes has been commissioned for ITV1 to air in May/June 2011. Mike is also a gamekeeper, and manages 3 estates in his home county of Berkshire. He runs The Pot Kiln public house and cookery school and is co-proprietor of the Michelin-starred London pub, The Harwood Arms.